As the Cansville’s newest creative director, can Toby write the play that will pump life back into the old theatre and its town? 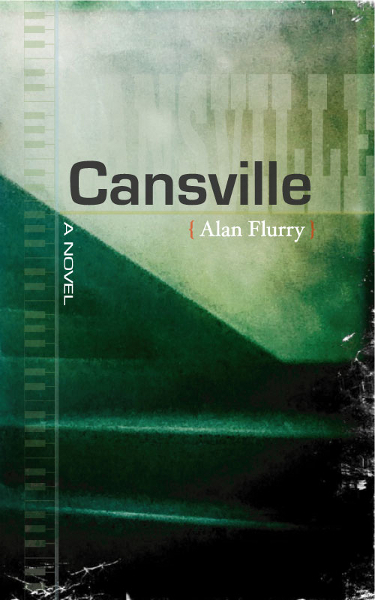 Or is the Cansville merely an opportunity for Toby to break away from the icons of his past and enter into the world of adulthood? There’s not really much to the plot of Cansville. Our protagonist wins a play-writing prize, earning an opportunity to write and direct a new work at the struggling Cansville theatre. Although he meets an eclectic group of theatre folk along the way, I always felt that they were just props – not just for the author to tell the story, but for the main character himself. All his interactions felt like he was staging a drama – a play about writing a play. That said, I enjoyed the quirky characters and the actual process of creation. It was often amusing and some of the strategies our hero adopted to visualise mood and intent on stage were quite fascinating. And in the meantime, there’s some love and lust interests, an aborted sexual encounter and a mountain of internal dialogue. However, in the end, it’s important to understand that the main character is not so much interested in the success of his play from an audience’s perspective; it is the process that this play represents which is significant to him. This was made abundantly clear to me by the author’s choice of conclusion. I think many readers might feel a little let down by the ending, but once I digested it a little, I realised that the author was actually doing me a favour. He had removed what could have been a distraction from my view so that I could more clearly perceive his intention. The flightless usurper stalked about the yard, unsure but mindful of what would soon befall. If Toby can imagine anything, it’s the abundance of himself just outside the room of his teenage years, a war chest in progress that he couldn’t wait for but to be over. But the epoch would need to sprout wings, succeed, create a sufficiently destructive storm, even just to begin. I feel like I understood Toby, but I found him to be a rather delusional character, destined to fail in his attempt to grow. Instead of synthesising the world around him and internalising what it tried to teach him, he threw all of his hopes for development into his creation and consequently, spent most of the novel missing opportunities. It didn’t surprise me to see that the final touch to his play was to come full circle, shooting an arrow into a wall. He remains the same undeveloped youth longing to grow up but not really understanding how, his attempt as staged as his play. There’s no doubt about it, the author knows how to turn a phrase. His prose borders on the poetic and some of the allusions and metaphors are beautiful. However, strangely enough, this strength was a weakness to me as a reader. I had to work hard to grasp his meaning, at times making the journey more painful than I thought it needed to be. I sometimes ran into a string of paragraphs that I felt were echoing the same thought. What is challenging once, is only painful in redundancy. I just felt that the story could have been explored powerfully and poetically, with more clarity and less words. This could be saying more about me than about the author and I’ll accept that criticism, but without an objective truth, I can only offer my opinion. I felt that reading this book became more of a chore as it progressed, despite any appreciation I gained for the theme and for the author’s very obvious talent with prose. I think in a different situation, I might have enjoyed this book more. It might have benefited from multiple reads and a focused book club discussion. It was clearly a literary work and perhaps giving it more attention than I had time for could have brought out the best it had to offer. Maybe, like Toby, I just missed my opportunity to grow. This entry was posted in 3, General Fiction, Novel, Reviews and tagged Drama, Literary. Bookmark the permalink.